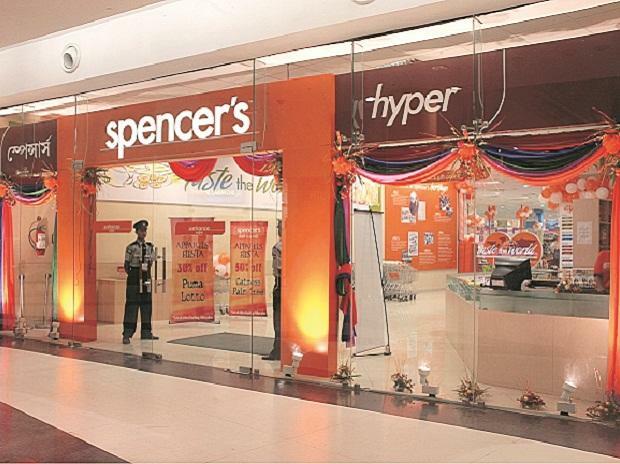 Spencer's Retail frozen 5 per cent lower circuit at Rs 213, while, CESC Ventures too, locked in 5 per cent lower circuit at Rs 521 on the BSE. Shares of RP-Sanjiv Goenka Group companies - Spencer’s Retail and CESC Ventures - have locked in their respective lower circuit of 5 per cent on the BSE after their listings on the bourses. Spencer’s Retail has frozen 5 per cent lower circuit at Rs 213 apiece, falling 7.5 per cent from its intra-day high of Rs 230 on the BSE. The stock opened at Rs 224 on the exchange. A combined 227,545 equity shares changed hands and there were pending sell orders for 1.36 million shares on the BSE and NSE at 11:12 am. CESC Ventures too locked in 5 per cent lower circuit at Rs 521, declining 8 per cent from its intra-day high of Rs 565. The stock opened at Rs 548 on the BSE. A combined 967,262 equity shares changed hands on the BSE and NSE. There were pending sell orders for 58,316 shares on both the exchanges, data shows. The board of directors of CESC on May 18, 2017, approved a restructuring plan to demerge the large businesses into four separate entities, power generation, power distribution, retail, and other businesses. The business restructuring scheme aims to simplify the corporate structure. The objective is to focus on individual businesses to enhance efficiencies, accelerate growth, facilitate access to capital and, most importantly, unlock shareholders’ value. For every 10 shares held by them as on record date of October 31, 2018, CESC's existing shareholders are entitled to additional six shares of Retail of Rs 5 each and 2 shares of Rs 10 each in Ventures over and above existing holding.